Many of our clients have been with us for many years – we work with huge international IT companies, large national sales companies and building societies and smaller SME’s – many of them IT and service companies. What they like about working with us is that we give them what they need when they need it. Each company needs us to work in a different way. For example our clients without their own HR function often need us to have a look at their employment contracts and offer letters. 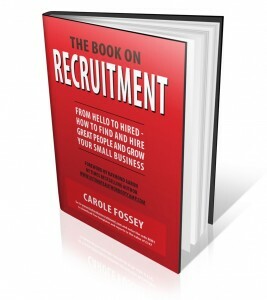 Growing companies often request our interview training. Whatever you need in relation to staff – we can provide it internally or through our partners. A recent example of how we help companies to grow would be a small IT company based in Cheshire who desperately needed someone with a specific skill set to support a new client they were hoping to win. No-one else had been able to help – because it was not a simple straightforward placement. One of our Directors took up the challenge and worked full throttle until he found the ideal person who who was interviewed, offered and accepted the job. Our client won their new client (worth several hundred thousand pounds) – everyone was happy! Because no-one at “be” is paid on interviews we do not arrange any interviews that we do not feel will lead to a placement. We also do not send CV’s in most cases. What we do is send 1 – 3 people who can all do the job. Therefore we save our clients a lot of wasted time interviewing people “on the off chance” that they will be right. We make sure that the candidate is passionate about the role and will accept the offer (if made) – therefore minimising the risk of our client offering the job and being disappointed. We generally work with our clients exclusively which means that our consultants do not work on conflicting roles. If they are looking for a specific candidate for you – they are not selling that candidate into 3 competitors role at the same time, therefore helping your business grow by finding you the right person at the right time. For our smaller businesses – if they reach the qualifying criteria – we offer a payment scheme to ease the cashflow issues and also guarantee the placement (terms and conditions apply – ask for details). Feel free to ask to speak to our existing clients – or we can send you testimonials on request.